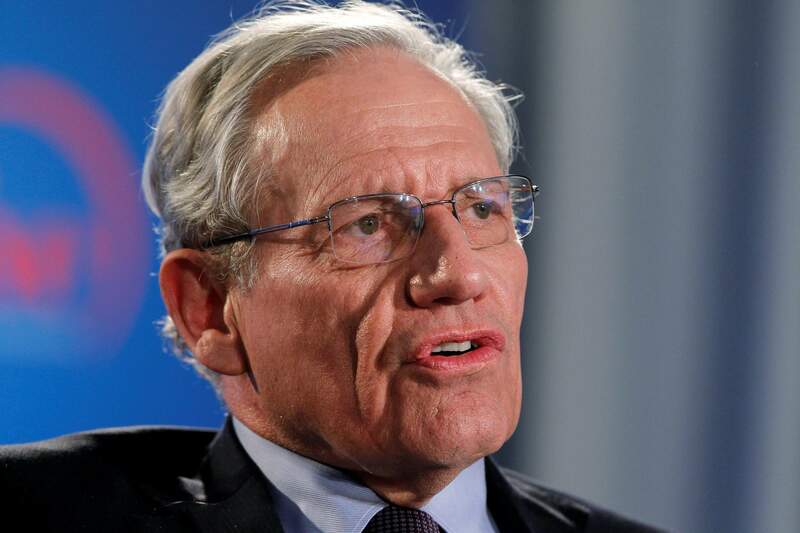 Details are starting to come out from journalist Bob Woodward’s forthcoming book about President Donald Trump’s first 18 months in office. WASHINGTON – An incendiary tell-all book by a reporter who helped bring down President Richard Nixon is roiling the White House, as current and former aides of President Donald Trump are quoted calling him an “idiot” and claiming they removed papers from his desk to prevent him from withdrawing from a pair of trade agreements. The book by Washington Post journalist Bob Woodward is the latest to throw the Trump administration into damage-control mode with explosive anecdotes and concerns about the commander in chief. The Associated Press obtained a copy of “Fear: Trump in the White House” on Tuesday, a week before its official release. The book comes after the January release of author Michael Wolff’s “Fire and Fury,” which led to a rift between Trump and Steve Bannon, his former chief strategist, who spoke with Wolff in terms that were highly critical of the president and his family. Wolff’s book attracted attention with its vivid anecdotes but suffered from numerous factual inaccuracies. White House aides on Tuesday coordinated with other officials quoted in the book to dispute troublesome passages. But insiders speculated the fallout could be worse than that from “Fire and Fury,” given Woodward’s storied reputation.